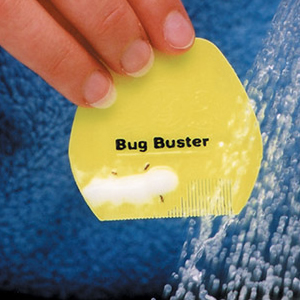 What is in the Bug Buster® Kit? 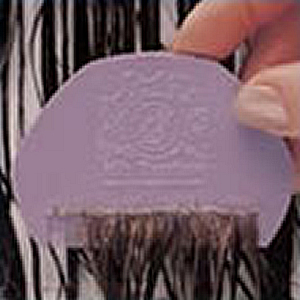 4 unique precision combs with deeply bevelled teeth, which remove the lice and nits that other combs may miss. Protective cape and fun stickers! 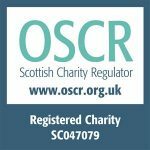 The Bug Buster Kit is produced by the health and education charity, Community Hygiene Concern, a not-for-profit organisation dedicated to solving the head louse problem. 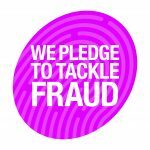 Assembled in the UK by MK SNAP – work preparation and life skills unit. Bug Buster and Nit Buster combs are the registered designs of Community Hygiene Concern. 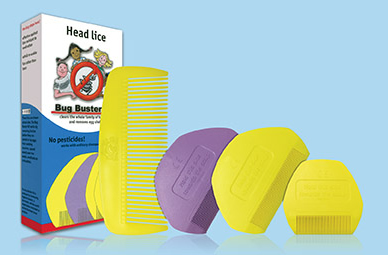 With the unique combs in the Bug Buster Kit, your usual shampoo and any conditioner you can detect and clear head lice and remove nits, following the instructions included in the Kit. The bevel-edged teeth of our specially developed Bug Buster comb comfortably pick up head lice which the more rounded teeth of other fine tooth combs miss. 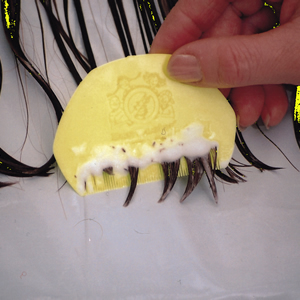 The teeth are precisely spaced, close enough to swiftly lift out newly-hatched head lice, whilst still allowing easy movement through the hair. 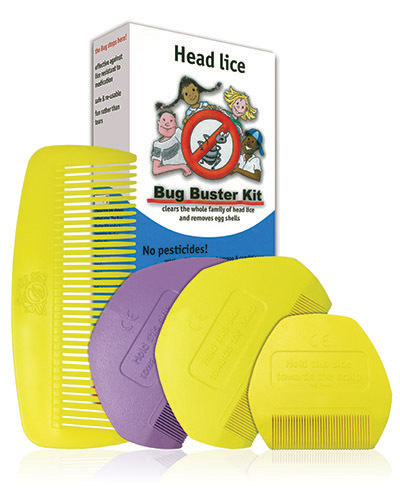 Bug Busting fits in with weekly hairwashing to keep you on top of head lice. 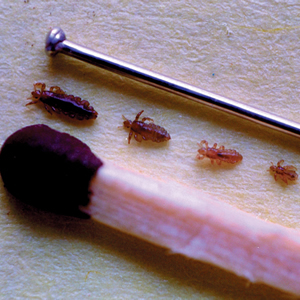 Read more about Bug Busting!